Most are probably reading this on Monday, so welcome back from the July 4th Holiday weekend! Yes, it's time to back to work. But not just yet... first, why not kill a little time while looking busy - and by learning a LOT about leadership. It'll help work the cramps out of your brain. I love this month's collection - many of our regulars, and nothing but the best. We'll start off the fireworks with next month's Carnival host, Mary Jo Asmus presenting How to Silence Others posted at Intentional Leadership. There's a message for leaders in the lives of Gov. Mark Sanford and entertainer Michael Jackson. Know when enough is enough. Scott Eblin presents Michael Jackson, Mark Sanford and the Human Condition posted at Next Level Blog. We all debate the "characteristics" of effective leadership. How often do we deliberately discuss wisdom, discernment, and integrity? Steve Roesler presents All Things Workplace: Wisdom, Discernment, Integrity and Business posted at All Things Workplace. Authenticity and integrity are important qualities for any leader. This post uses a real life example to express the differences between them. Becky Robinson presents Sunlight Through the South Window: Authenticity, Integrity, and a Life Well Lived posted at Mountain State University LeaderTalk. Wally Bock may not know the secret of life, but he thinks he knows the secret of great supervision (Dan's note: he really does). Wally Bock presents One Thing You can do to Supervise Better posted at Three Star Leadership Blog. Chris Young presents Employee Performance Accountability - Do Your Employees Know What Is Expected of Them? posted at Maximize Possibility Blog. Alice Snell presents Engaging Prime Talent posted at Taleo Blog - Talent Management Solutions. Thought-leading companies are not just thinking about succession, they are thinking about the entire leadership pipeline. Meg Bear presents Leadership Pipeline vs. 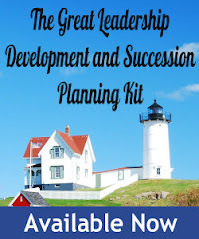 Succession Planning posted at TalentedApps. Are you having a tough time keeping your personal and professional lives separated online? Yes? Good. Jason Seiden presents Ethics, social media, and… profersonalism. posted at Next Generation Talent Development. The term “leadership” is extraordinarily plastic. So much so, in fact, that discussions about one sort of leader can be viewed by advocates of another sort as misguided, if not insulting, without anyone being the wiser that the concepts they have in mind are distinctly different, if not even mutually incompatible. Jim Stroup presents Static leadership posted at Managing Leadership. The effects that hypocrisy, not the lies, cheating or illegal actions, but the fact that they are done by supposed leaders who vehemently preach a different course, have in fostering today's kids' cynicism. Miki Saxon presents Hypocrisy Leads To A Cynical Future posted at Leadership Turn. Leadership can be defined as the act of motivating people to achieve a common goal. It is doing the right thing for the right reasons. It is taking action, no matter the consequences. Leadership is vision, purpose, courage, discipline and passion. On this American Independence Day, let us remember that leadership is an action verb. Sometimes...it can change the "course of human events." Tom Magness presents Independent Leaders posted at Leader Business. Regardless of your role in an organization, personal accountability is key. Sharlyn Lauby presents Taking Ownership posted at hr bartender. Michael Lee Stallard presents Intrapreneurs: Find a Work Environment that Helps You Thrive posted at Michael Lee Stallard. One of the founders of the rock band 38 Special talks with Wayne Turmel about team building and creating teams that rock. Wayne Turmel presents The Cranky Middle Manager Show #195 Rock and Roll Team Building with Jeff Carlisi posted at TPN :: The Cranky Middle Manager Show. A timely post on one of the most important issues we face-trust. In a time where trustworthy advice is scarce, this piece probes deeper into why trust is so important. Eric Pennington presents A Matter Of Trust posted at Epic Living - Leadership Development Career Management Training Executive Life Coaching Author. Anna Farmery presents Learning whilst living.... posted at The Engaging Brand. What does it take to transmit bold new ideas to people who don’t want to hear them? How can the language you use facilitate enthusiastic, energetic implementation? John Agno presents How do you lead change? posted at Coaching Tip: The Leadership Blog. Leaders, like Brett Favre, need to know when to "let go." Erik Samdahl presents Don't Be Like Brett Favre posted at Kevin Oakes. Time Magazine recently caused a stir when they published the results of research that strongly suggested that Facebook (and other social networking sites) caused graduate students to suffer lower grades. Simon Stapleton presents Does Facebook Flunk Your Performance Review? posted at ACE Your Performance Review. This is a guest post by a good friend who does a great job of bringing out principles from experiences of kindergartners. Michael Ray Hopkin presents Guest Post: Leadership Lessons from a Kindergarten Class posted at Lead on Purpose. Nick McCormick presents No Time to Think posted at Joe and Wanda on Management. Mark Stelzner presents SHRM 2009 - Observations & Conclusions posted at Inflexion Point. The project manager’s basic strengths may consist - leadership, teamwork management, good communication skills (with clients and co-workers), analytic thinking, prioritization, highly motivated person, initiator and an highly opinioned worker. This article provides wide-ranging project management interview questions and answers for project manager (PMO, and for product manager) position. nissim ziv presents Project Management Interview Questions and Answers posted at Job Interview Guide. You have been aked to present. Oh no! Where do you start? Here are several questions that will help you prepare: Great Management Tips presents The Questions To Ask Yourself Before You Publicly Speak posted at Great Management Tips. When it comes to offering constructive feedback for a team’s or individual’s performance, it’s better to reinforce good behavior, than react to bad. Benjamin presents Develop Outstanding Employees Utilizing Effective Feedback posted at Leadership Type. Keith Tusing presents The Importance of the Huddle posted at Children's Ministry Buzz. Shawn M. Driscoll presents It's Time to Kick Mediocrity to the Curb posted at Shawn Driscoll. Leaders come in all shapes and sizes, but there are a few fundamental traits which separate them from everyone else: John Anyasor presents Three Staple Qualities of a Leader posted at HiLife2B. Peter Cantelo presents 11 Steps To Being A Better Leader posted at vivavi.co.uk. Thanks for another month of great reading, as well as the recognition of my own post. I can hardly wait to grab a cup of coffee, settle in, and start recharging those ganglions. I will be honored to host next month's carnival! Thanks again. Yes, thanks Dan. I know a lot of time goes into preparing the carnival, but there is always so much learning and insight to gain. I enjoy the opportunity to read posts from bloggers I might not otherwise know about. Hope you enjoyed a lovely holiday! I love those simple articles, such as "How to Silence Others." I had a previous boss who micromanaged the company constantly. I think this tends to happen more with smaller businesses. I'm just glad I'm not there anymore!